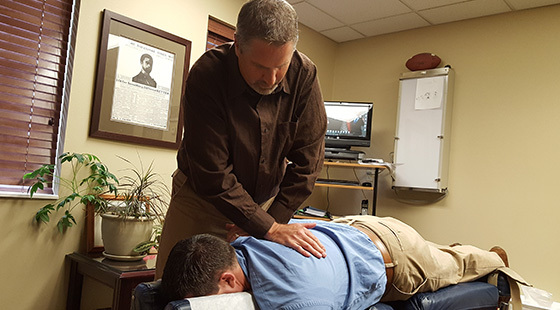 Dr. Bunkers offers chiropractic care utilizing various techniques such as manual/hands-on methods (Gonstead, Diversified, Thompson drop table), Activator Methods, and soft tissue/myofascial trigger point therapy. The main focus is to treat the spine or extremity joints with the least amount of force possible to allow for proper manipulation and to find the proper technique for each patient — because no two bodies are the same. We also offer therapy procedures such as electric muscle stimulation, interferential current, ultrasound, ice/hot packs, low-tech rehabilitation (Swiss gym balls, Thera-Bands, balance boards), and condition-specific exercises (stretching and strengthening). 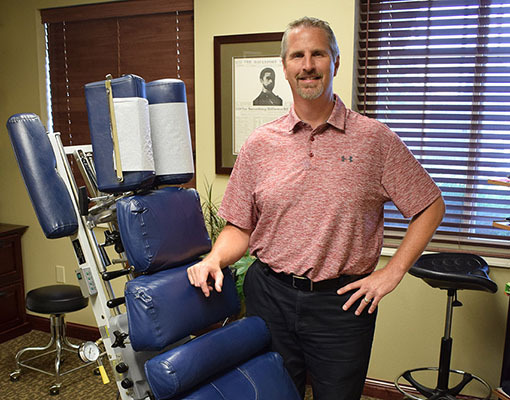 Our office is one of the first in the state and region to offer the technology, LOW LEVEL LASER THERAPY, for treating musculo-skeletal conditions such as tendinitis, bursitis, headaches, sinusitis, carpal tunnel syndrome, TMJ disorders, whiplash, sprains/strains, as well as others. 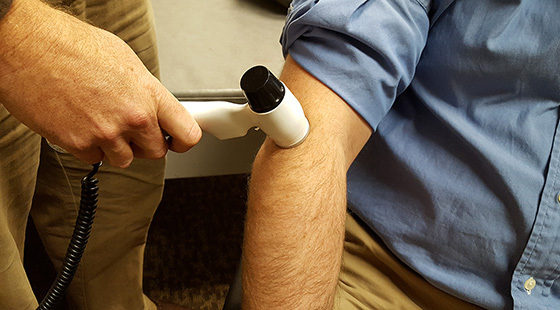 This device was approved by the FDA for treating carpal tunnel syndrome and has quickly shown its value through research in treating other disorders. You deserve to try this technology if you are in pain. Why wait, there is no better time than the present! Massage therapy is available for assisting in muscle tension and pain reduction to allow for better spinal alignments. Massage therapy is good for your body, mind, and soul. It can help relieve muscular tension, alleviate pain, improve posture and put your mind at ease. 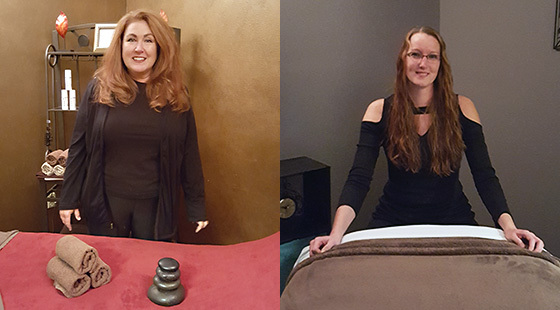 We have two independent massage thereapists onsite.